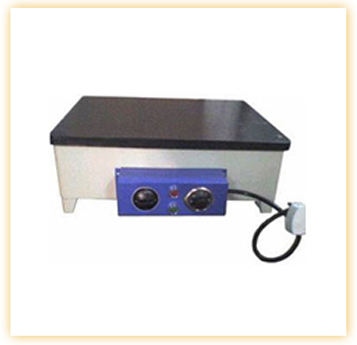 We are well-known manufacturer of Rectangular Hot Plates, which is highly demanded in the market. Rectangular in shape, hot plates are made up of mild steel powder coated, wherein, top of the plate is made using durable cast iron. It can withstand temperature of up to 350Â°C armed with energy regulator / thermostatic control.